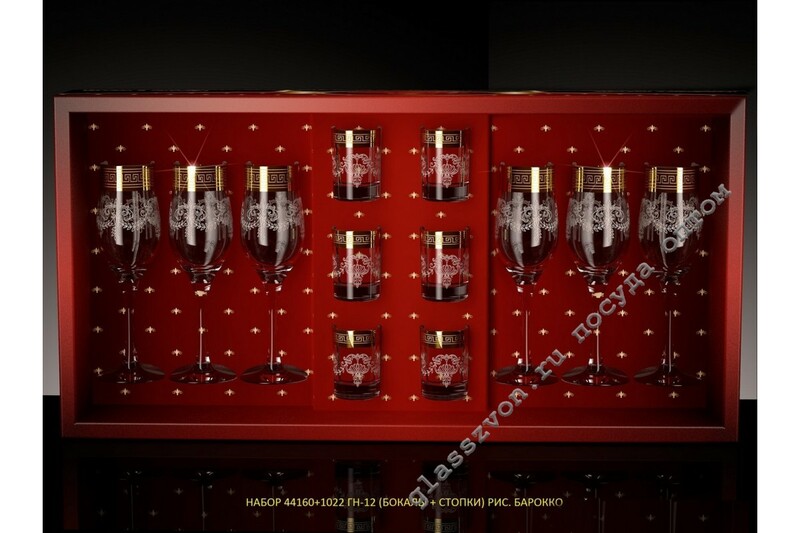 "Fabulously beautiful and truly tempting, a set of 12 glassware glassware will not leave anyone indifferent. Exquisite and unique genre of engraving, European culture of the style "Baroque", gives this set a wonderful appearance. 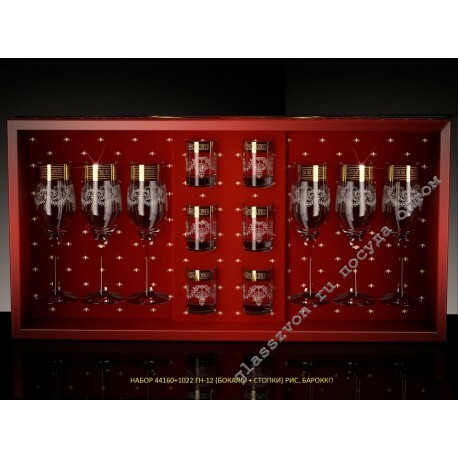 Such dishes with engraving goose-crystal consists of 6 elegant glasses and 6 elegant piles, which can easily fit behind any bar counter, and will undoubtedly become an ornament of various festive tables. Our dishes with a spraying in bulk, this is an excellent source of getting a good profit. Low price and high quality products, of course, you will only be pleased!